Имате въпрос към JC Hostel? Разположен на централно място в Град Краби, JC Hostel е идеално начало за Вашaта екскурзия из Краби. Само на 1 km от градския център- това стратегическото местоположение на хотела гарантира на гостите си бърз и лесен начин за достигане до интересуващите ги точки на града. С удобното си местоположение хотелът предлага лесен достъп до всички градски забележителности, които задължително трябва да се видят. В JC Hostel отличното обслужване и достъпните съоръжения допринасят за Вашия незабравим престой. Най-важните съоръженията на хотела са паркинг, летищен трансфер, екскурзии, перални услуги, ATM/банкомат на място. JC Hostel разполага с 28 стаи, които са обзаведени с вкус. Много от тях предлагат удобства като климатик, телевизор, обща баня. Освен това в хотела можете да се възползвате от множество предложения за приятно прекарване на свободното време. JC Hostel е идеално място за туристи, търсещи чар, комфорт и удобство в Краби. A little bit outside of Krabi town and hard to find. Other than that the beds are nice and clean. Every bed has an electrical outlet, a light, and really thick curtains that block out the light really well. Great place to stay if you want to be a little far out from the city. I was the only person there for 2 nights. The pictures on Agoda aren't representative of the place and the Agoda address is actually wrong too. It's spelled Chaokhun road and is near The White Pearl. Lady who takes care of the place is the shop owner on the right of the hostel. The owner was so helpful and friendly. Really made me feel welcome and gave lots of helpful info. The beds had private curtain and plug (handy), only 10 mins from shops and restaurants. Really great value for money. Hot shower too! Individual bed curtains! Modern and not a generic hostel. Cheap. I enjoyed my stay at this hostel. Individual curtains around the beds for privacy. A modern hostel with thought rather than a generic hostel designed on minimal cost. Spotless and cleaned daily. Staff were very helpful with directions, laundry and other enquiries. Cheap. Only downfall is it was a 10 minute walk from Chao Fa Road where you find majority of restaurants and bars, night markets, pier to Rai Leh and Ah Tong beaches, and other hostels. Once you get your bearings after walking it once it's a very simple route. Easy maps to follow are provided at the hostel. 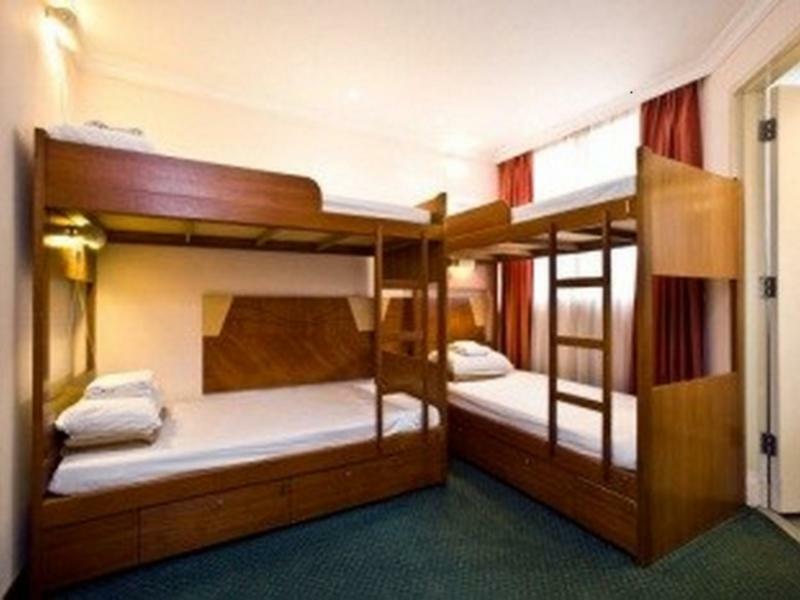 I didn't like this hostel, I can't tell anything good about it. My stay was ok just because I was the only customer. The room is very small and there are no windows, sixteen beds and three toilets. Beds were no wider than 80 cm and no cover sheet provided. No towel or locker included. I very enjoyed my stay at the dormitory. It was cheap and clean. The older lady is very friendly and helpfull. The airconditioning was working very well. I only recommend they make a rule lights and sounds out 10 pm that will be great. Big dormitory with 16 beds 10 minutes walk from the city center. The older owner was very friendly and helpfull. Close to Krabi night market area. Not many restaurants around. Blanket and locker were not included in price. Staffs were friendly but not always available and sometimes left the dorm unattended. A friend lost couple of things here. value for money, clean and nice new room , just grandopening. good location close to night market and easy to find the local thai food. frindly staff who can speak english and chinise very well. shuttle bus to airport pass only 150THB to airport and 40THB to aonang area. Not that far only 15mins. You can book trip to several islands with staff and the tour company will come to pick you up front of hostel with resonable price. i enjoy stay there and will be back again.